Duke University is proud to join the Digital Library Federation, and is looking forward to learning from and sharing with our colleagues in digital libraries. We’re interested in expanding our impact on research and scholarship, especially through innovation in publishing models, repositories for shared preservation and access, and new technologies, training, and approaches for describing, capturing, and curating digital materials. Duke University, located in Durham, North Carolina, is a global and growing campus, committed to diversity, interdisciplinarity, and civic engagement (and basketball). With the opening of the Duke Kunshan campus this fall, Duke is reinforcing its position as a three-campus university, serving its communities locally (in Durham), virtually (through an expanding array of online resources and services, including MOOCs), and globally (with Duke Kunshan providing a more defined location for research and education that already happens across the globe). 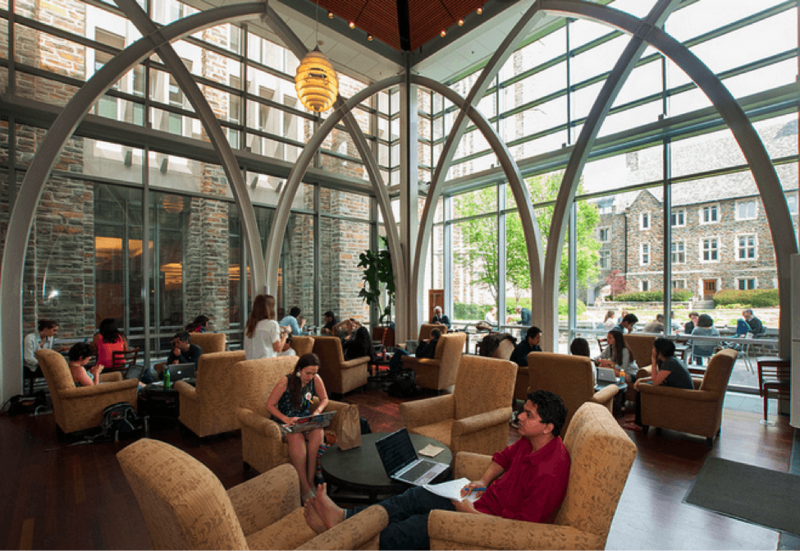 Scene from inside the Von Der Heyden Pavilion, Perkins Library, on Duke’s West Campus. Responding to growing interest in digital humanities, we launched Doing DH, a series of panel discussions and workshops to highlight expertise at Duke and in the Research Triangle area, issues and questions surrounding DH, and basic skills for getting started. Our Digital Humanities Technology Consultant, funded through the Humanities Writ Large initiative and reporting to the Libraries, has been pivotal in bridging technology and disciplinary questions and in providing mentorship, training, consultation, and assistance to graduate students seeking to incorporate digital approaches in their teaching and research (see, for example, the Fantasy Art Collecting Game and the Sonic Dictionary). The Sonic Dictionary, developed across a series of courses and built on Omeka, was conceived and designed by Duke graduate student Mary Caton Lingold, with guidance and implementation assistance from Libraries’ staff member Will Shaw. Key to its success is the development of contributor guidelines, helping to ensure consistency of data entry across courses and students. As curricular initiatives like Bass Connections and the Labs at the John Hope Franklin Humanities Institute expand undergraduates’ role in faculty-led research, librarians are serving as team leaders and advisors to these groups, to guide the work and to help ensure the replicability and usability of outcomes. (For example, a project to digitize, transcribe, and create public-facing educational films from United Nations Environment Programme footage introduces such curatorial challenges as developing and following shared protocols for description, and appropriately licensing the resulting works.) The Edge, a new collaborative research space opening in January 2015, will provide a site for hosting and guiding these kinds of projects, and for building more partnerships between Libraries staff and researchers. 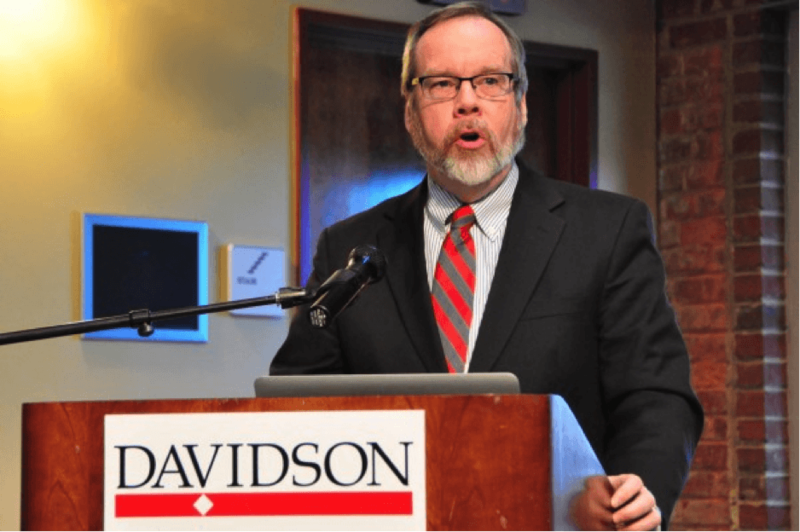 Kevin Smith, Duke’s Scholarly Communication Officer and Head of the Libraries’ Office of Copyright and Scholarly Communication, plays a vital role in helping Duke researchers as well as librarians work through challenges to accessing and re-using digital scholarship. You can follow his blog at http://blogs.library.duke.edu/scholcomm/. The Libraries continue to push ourselves and our community (both at Duke and beyond) to re-think traditional models of publishing and assumptions about how to share and vet scholarly works. To that end, some of our latest initiatives are supporting the editorial function of the open-access journal Cultural Anthropology, and participating in a Knowledge Unlatched pilot program to publish new humanities and social sciences works as open access. The Libraries’ Office of Copyright and Scholarly Communication advises librarians, faculty, and students alike on digital publishing platforms, copyright and intellectual property issues, sustainability models for digital projects and publications, and other issues related to the changing scholarly communication ecosystem. Duke University Libraries is honored to partner with our peers on several Open Source projects designed to provide preservation, discovery, and access to our collections. 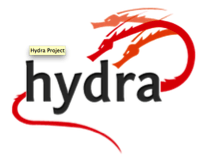 Looking to grow our capacity for supporting and serving digital content, Duke University Libraries adopted Hydra as the future of the Duke Digital Repository in order to leverage the experience of the Hydra Partnership and the power and flexibility of the technology stack. The Libraries has been a contributor to the Kuali Open Library Environment project since its inception and plans to complete implementation by Summer 2016. We also actively contribute to and are charter members of ArchivesSpace and BitCurator. 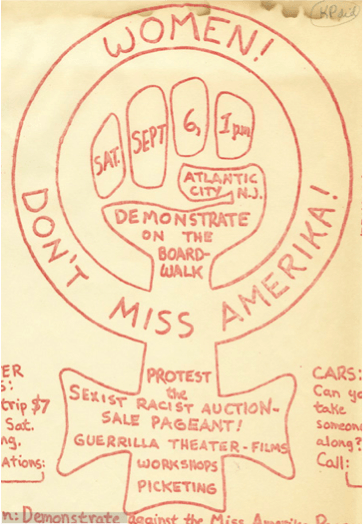 An excerpt from a digitized flier for the Miss America Protests, 1968-1969, in Atlantic City, New Jersey – part of the newly published Women’s Liberation Movement Print Culture collection. Since the early days of the web and our forays into digitization and publishing, we’ve sought to present our digitized collections in innovative ways that engage researchers and educators. AdViews, for instance, was one of our earliest video publications — a collection of television commercials along with expert interviews published both through our locally developed platform, Tripod2, and through iTunes and Internet Archive. Behind the Veil, oral history interviews chronicling legal segregation in the South, was our first venture into publishing digitized audio collections. Some of the most recent additions to the digital collections portfolio include George Barnard and Alexander Gardner’s Civil War Photography Albums, Women’s Liberation Movement Print Culture and the Haitian Declaration of Independence. 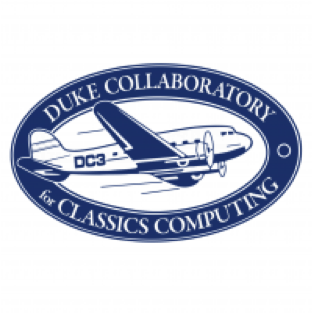 One of our latest projects, The Duke Collaboratory for Classics Computing (or DC3), is turning faculty into librarians and giving us all a new sense of how we want to (and need to) share and build digital collections that will be of broad and enduring value. The DC3, headed by Classics faculty member and (now) Duke Libraries staff member Josh Sosin, both manages papyri.info data and tooling and also experiments in development of new complementary resources. An idea for one of those experiments — develop the workflow and technical feasibility for researchers to “transcribe, translate, annotate, and ‘pre-publish’ special collections materials” through a Libraries-hosted platform — will be coaxed, poked, antagonized, weighed, and generally thought through at the first Triangle Scholarly Communication Institute, which commences November 9 (just two weeks after the 2014 DLF Forum). Look for more talk about this on Twitter soon! We hope that some of what we’ve described above piques your interest, and if it does, that you’ll seek us out at the Forum in Atlanta later this month or contact us directly. For more information about these initiatives or Duke Libraries in general, feel free to email us (either Jim Tuttle or Liz Milewicz) or visit the Libraries blog at http://blogs.library.duke.edu/.